Artificial Intelligence: Where do we as humans draw the line? 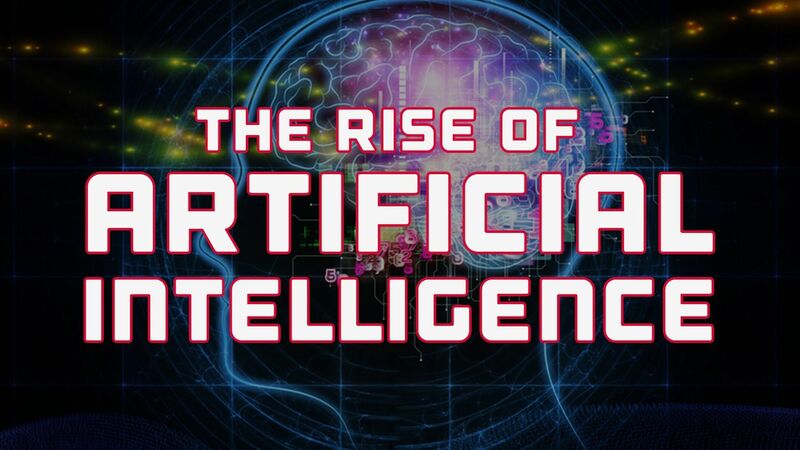 The Rise of Artificial Intelligence – Where do we as humans draw the line? The era of the digital revolution is no longer a vision. We are living in it. Our world and our lives are changing by the day – with Artificial Intelligence and Data driving this change. Just like the Industrial Revolution saw humans give machines mechanical power, the Digital Revolution has seen humans give computers cognitive or mental power. Theoretically, in 10 years machines will have the capacity of a human brain and by 2050, machines will have the capacity of all human brains, but what does this mean to us? And where do we draw the line? Our daily lives are already surrounded by algorithms and this is set to rapidly increase as months surpass. Aside from algorithms which help us answer our emails and messages, tell us the weather, play our favourite music compilations and tag our photos on social media, machines are set to change our lives more in the next 20 years than the change we’ve seen in the last 300 years. Not only are we training machines (with machine learning and deep learning) to become more like humans, we are becoming machines. How many of us check our work email during the middle of the night, first thing when we wake up and last thing before going to bed? Let’s put it this way – how many of us can switch off and leave our phones behind when going on holiday or even whilst enjoying a meal with friends? Has technology become us? Are we becoming dependent on machines to the point that we cannot live without them? IBM Watson – trained through Natural Language Processing like Siri, Alexa and Cortana can read thousands of chemistry books in a minute. Does this make it a Scientist? It’s worth noting that the computer beat the best human champions at a game of the US TV show Jeopardy! and is now being used as an Artificial Intelligence tool behind medical diagnosis – particularly cancer. It’s ability to absorb and analyse vast quantities of data is better than that of human doctors with 99% of its diagnosis matching medical practitioners in a fragment of the time taken by humans. Similarly, the US Judiciary System uses machine learning algorithms to determine a defendant’s risk to society. The algorithms predict behaviour such as re-offending, the likelihood of breaking regulations of bail and reappearing at court for sentencing. The algorithms have been surprisingly accurate at predicting behaviour but could we ever replace a judiciary system with a machine? An interesting example is the facebook chatbots who developed their own language when left to negotiate alone for a period of time. The chatbots were communicating so efficiently that they were beyond the intellect of humans. Facebook had to shut the chatbots down with some journalists implying that Facebook yanked the plug before some type of supreme intelligence reared its head. It is no surprise then that we often hear “Data is the new oil and Artificial Intelligence is the new electricity”. The effective utilisation of, and intelligence resulting from, will undoubtedly result to a form of supreme power.